The end of the financial year is approaching, so an EOFY Business Checklist is essential. If you’re like a lot of our business clients, chances are you have plenty to do in the next few weeks. So, I’d like to share with you our top tips to help you and your finance team streamline your EOFY processes and get through the end of financial year period with a minimum amount of stress. Your EOFY Business Checklist is an essential tool to prepare for 30 June. If your business carries inventory, you stocktake needs to be completed prior to 30 June. A stocktake can be time consuming and arduous, so being prepared is very important. Ensure you brief your team on the process and advise your customers that stock will be temporarily unavailable for purchase or collection. If you are closed on the weekend, then this is a good time to complete your stocktake. Work quickly in teams of two or more to complete the stocktake of your inventory. Review assets you’ve purchased during the year and also ensure you have recorded any money spent on improving your business assets throughout the year. Compile an asset list of current plant and equipment, vehicles and other fixed assets such as buildings. Ensure all your business expenses for the year have been recorded. You may be eligible to claim for expenses such as work vehicles, clothes and travel costs, plus business capital purchases such as machinery and equipment. If you are unsure about what to claim, check with your accountant. Ensure all business accounts and credit cards have been reconciled to year end – 30th June. Make sure your BAS reports have been lodged and that your Super Guarantee Contributions (SGC) are accurate and up-to-date. Single Touch Payroll begins on 1 July, 2018 and is compulsory for employers with 20 or more employees. This means each time you pay your employees, your software will automatically send their tax and super information to the ATO. Companies with less than 20 employees will begin using single touch payroll by 1 July, 2019. To find out more about Single Touch Payroll, watch the ATO video below. Sadly, the end of the financial year seems to attract a number of tax return conmen and scams that target businesses. Here are some the tax time business scams you need to be aware of. Scammers will say you have underpaid your taxes and request you pay the amount owing immediately. They’ll say to avoid any further penalty you can pay the amount you owe with a debit or credit card or money transfer. Don’t fall for it. Other end of financial year tax scammers will say you’ve overpaid your taxes and they want to refund the money to you. Of course, to receive your refund you have to pay an administration or processing fee. Don’t fall for this either. You and your team have worked hard all year to reach your goals and achieve success in your business. So, it’s time to celebrate. Focus on the things you have done well, and how much you have grown on a personal and professional level over the past year. Open a nice bottle of red or bubbles if that’s your thing. Or take your team to dinner in a nice restaurant. Whichever way you choose to celebrate, focus on your achievements, your growth and your successes. Then get ready to prepare for next year. Take time to examine your business performance during the year. Using this data, you can then make plans for ways to increase sales, reduce costs, improve customer service and grow your business year on year, to achieve your business goals for next year. Update your Profit and Loss and Cash Flow budgets for the next 12 months. Compare your actual performance for this year to your original budget. Check where you can work smarter in the year ahead. Review your business insurances to ensure you have adequate levels of cover for your business, and for your key personnel. Ensure you also have the correct Workers Compensation insurance for your company. Review staff salaries and awards conditions. Ensure they are in line with relevant awards and meet any other statutory requirements. Keep up to date with tax changes starting in the new financial year. In FY2018/19 this includes the introduction of the Single Touch Payroll system. Sit down with your bookkeeper or accountant and review your finances. Look at where you met your targets and what you can do differently next financial year. Create a cash flow forecast to manage any potential shortfalls and ensure you can still pay your staff and suppliers on time. If you don’t already have one, set up a Super and BAS savings account for your business. Ensure you deposit funds into this account each time you receive income, or run your payroll. Then when your Super and BAS payments are due, you will always have the funds available to pay them. Remind yourself of your goals and priorities for your business. Assess whether your current strategies are working and implement changes where necessary. Update your business plan and set your business goals for the next 2-5 years. This may include developing a business succession plan if you are in business with other people or planning to retire in the near future. When you’re in businesses it’s imperative you keep up to date with tax compliance throughout the year, not just at the end of the financial year. 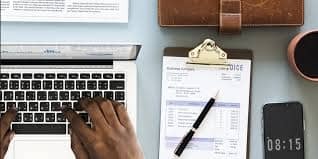 So, keep your tax receipts and records up-to-date, speak with your registered tax agent or Accountant as required and be proactive in regard to your businesses record keeping and tax obligations. This will alleviate a lot of stress and help you operate a stronger business throughout the year, while also improving your financial intelligence, and your understanding of your business performance. The CTO Team have compiled a number of EOFY Business Checklist for our clients. These include EOFY Checklists for users of Xero, MYOB and QuickBooks Online. If you’d like a FREE copy of our End of Financial Year checklist, simply complete the download form at the end of this post. 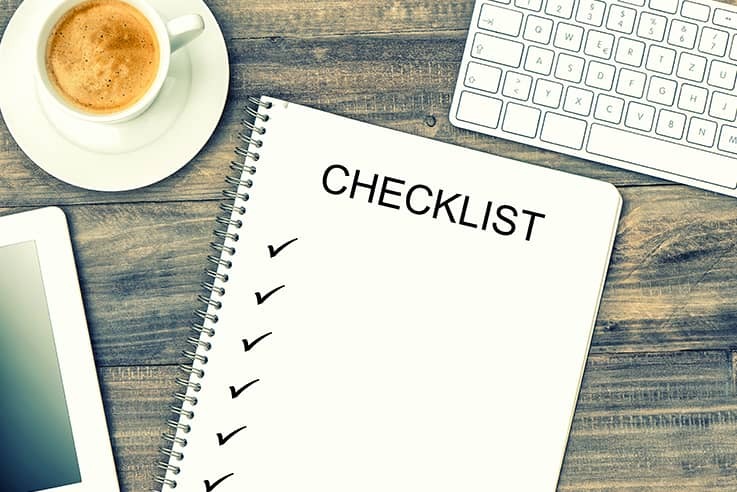 Your EOFY Business Checklist will help you streamline your EOFY processes and get through the end of financial year period with a minimum amount of stress. Need to Arrange Accounting Software Training for Your Finance Team? Organising training for your accounting software with Corporate Training Options before June 30 will get your team ready for this busy time of year. Corporate Training Options Xero, MYOB and QuickBooks courses can teach you and your finance team how to easily use the updated functions in the software and prepare for the EOFY with accuracy and ease. What are your thoughts or experiences about preparing for the EOFY? We’d love to hear about your experience or answer any questions you have, so please contact the Corporate Training Options team today. To download your EOFY Business Checklist, complete the form below.